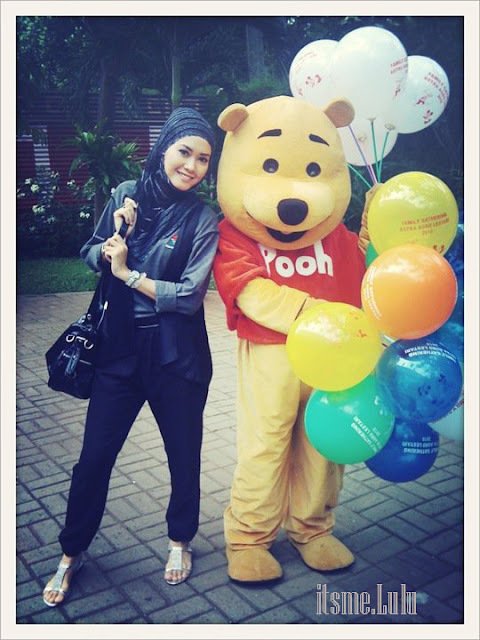 on Sunday on October 17, 2010 yesterday, I accompanied my husband office ceremony "Family Gathering" at Dufan. All employees gather and bring their family, but must wear a uniform event.The shirt is very simple shape, so I think for me the combination with VEST and HAREEM PANT. Thanks to Meyra, she is ary's daughter ..
mba itu pake jilbab apa? share doong, simple but interesting! thankyouu.